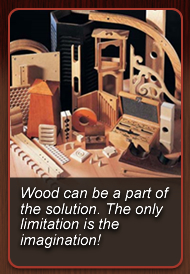 Premium Wood Products is your source for quality Custom Wood Cabinets and Custom Wood Products. Our talented, experienced professionals work with you step by step through the "Design to Installation" process. From the initial discussions which lead to three-dimensional concept drawings, pricing, design revisions, and final installation. We ship all your finished products directly from our factory at wholesale prices. You enjoy huge savings off retail with superior quality and long-lasting value. To start your custom wood product design, just call one of our professionals or e-mail us a note and digital photo. If you're in the DeKalb, Illinois area, stop by our facility to see firsthand how we work with our customers during the design and manufacturing process. Give us an idea of your present space configuration. Show us your sketches, pictures or plans for your space. Tell us your door style preferences, choice of melamine or solid wood and any trim desires. 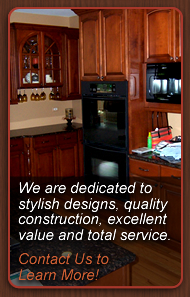 We carefully listen to your needs and visions for your custom wood cabinets or other wood products. We add the new custom wood kitchen cabinets, custom bathroom cabinets, or other wood products to the master layout and forward detailed drawings to you with links to color palette choices, door styles, hardware, and finishes. You can then make any necessary changes. If you'd like a unique cabinet door style, product accessory, or other option, we'll include it. After you return the first draft changes, we give you a detailed 3D layout that brings your design to life. You can easily visualize the actual design and fit, make any changes, and approve revisions before we finalize your order and price. Once you place your order, we skillfully manufacture and assemble your custom wood cabinets at our state-of-the-art facility. Our cabinet boxes are constructed from the finest materials on the market. We choose the right material to fit your budget. This painstaking process creates an exceptional product. Our desire is to have our customers be proud to tell their friends where they got their cabinets.